A high-productivity scanner with an easy-to-operate 5” touchscreen. 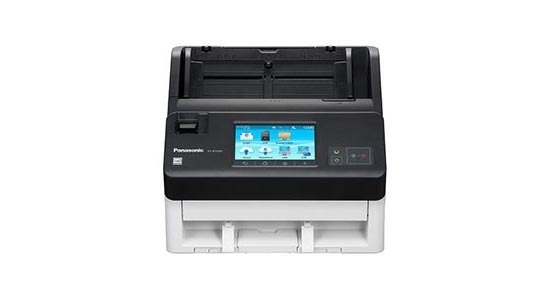 The variable network connectivity of the Panasonic KV-N1028X allows you to connect the scanner to your PC or mobile device over wired or wireless connection according to your business needs. The need for large installation space, and the cost for more PC’s are eliminated. This means it also saves you operation cost. Image Capture Mobile, a Panasonic original application, lets you send scanned data directly to the Cloud or to email and lets you connect up to 5 different mobile devices such as a smartphone, tablet device, etc. to one scanner. You don’t need a PC to scan anymore!